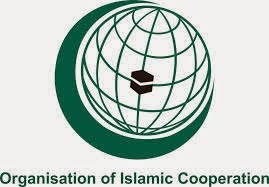 The Organization of Islamic Cooperation (OIC) announced a package of urgent measures to prevent the rapid spread of terrorism, which has hit a number of OIC member states, and halt a surge of violence in the Muslim world. The executive committee of OIC, at its meeting in Jeddah in Sunday, called for the development of an appropriate mechanism to face new trends of terrorism in member states in a story that was first published by arabnews.com. The meeting comes in response to a call by OIC Secretary-General Iyad Madani to tackle terrorist attacks in the region. The meeting was chaired by Saudi Arabia. It discussed a number of mechanisms and strategies to fight terrorism and extremism. The meeting called for holding conferences, seminars and workshops with the participation of political leaders, clerics, community leaders, scholars and experts to discuss the best possible ways of responding to terrorist threat to electronic security and to work with OIC member states to develop a new approach and treatment of sectarian violence. Undersecretary of the Ministry of Foreign Affairs for Multilateral Relations Prince Turki bin Mohammed bin Saud stressed the importance of the meeting as one of a series of international and regional ones to discuss the phenomenon of terrorism and its roots and causes. He confirmed the need to find a unified vision to combat this threat. Prince Turki reviewed a series of Saudi efforts, which have been taken with all regional and international levels in order to end this phenomenon, including the convening of the first international conference to combat terrorism. The conference was hosted by the Kingdom in February 2005. This event gave rise to the idea of the establishment of the United Nations Counterterrorism Center. Madani said terrorism cannot be countered by only military means but there must be scientific plans to treat aspects, dimensions and contexts of terrorism. The economic deprivation and exclusion methods provide favorable conditions for the spread of terrorism, extremism and violence. Madani called for stifling the voice of terrorist and extremist groups, which is trying to legitimize violence in the name of religion, ideology or claims of cultural superiority. The Muslim world must understand causes, which are behind sectarian violence and attempts to politicize religious relations. The executive committee of OIC comprises members from Egypt, Senegal, Turkey, Saudi Arabia, Kuwait and Guinea and the secretary-general.